How many times you received a lot of notifications in a group (for example 100 or more messages) and you decided to not read all them messages? Soon a new feature will be available that will allow you to quickly find and read only messages where you were mentioned, so all messages sent in the group for you. WhatsApp Business beta for Android updated from 0.0.120 to 2.18.3: what’s new? WhatsApp submitted a new update through the Google Play Beta Program for WhatsApp Business, that’s available in some countries only. 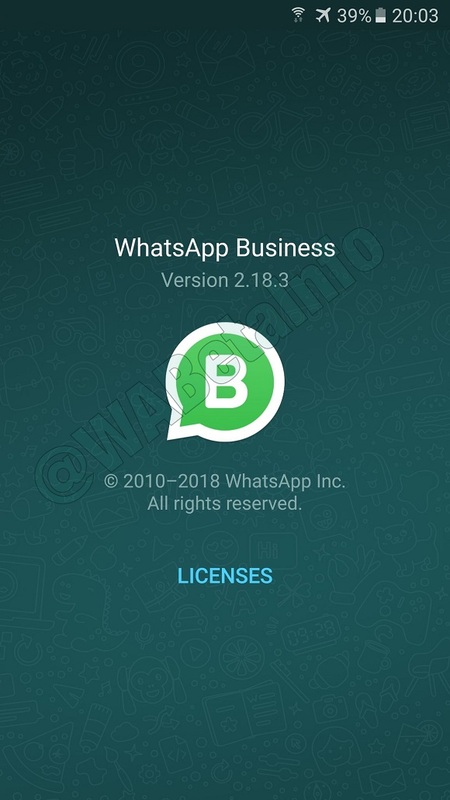 The precedent version was the 0.0.120 (so the classic test build number) but today the new update has the version 2.18.3, suggesting that WhatsApp Business is very stable and it may be released soon in a lot of contries (or all them?). In the 2.18.10 iOS update, WhatsApp has implemented a lot of improvements, in particular for voice messages. Voice messages got an important update that allows to lock them in precedent releases, especially when the user wants to record a long voice message, but voice messages still had two big problems: you weren’t able to listen your voice message before sending it and every new incoming calls would have stopped the current recording. WhatsApp is enabling the quick switch to video call for Android! WhatsApp has released a new update through the Google Play Beta Program: the version is 2.18.4. Today, in this update, we have noticed that WhatsApp has finally enabled something very small but interesting. WhatsApp beta for Android 2.17.443: what’s new? WhatsApp has finally submitted a new update through the Google Play Beta Program: the version is 2.17.443. Everyday, I receive a lot of messages on Twitter where I read what many WhatsApp users wish for a long time. The most wanted features are Dark Mode, polls in groups, ability to quickly share a photo as file (to quickly send uncompressed photos), Call privacy options and an Apple Watch native app, but the main feature is surely about protecting own chats using Touch ID.